Zone 3 is a tough one. With winter lows getting down to -40 F. (-40 C.), a lot of plants just can’t make it. This is fine if you want to treat a plant as an annual, but what if you want something that will last for years, like a tree? 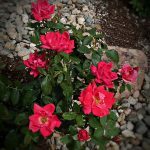 An ornamental dwarf tree that blooms every spring and has colorful foliage in the fall can be a great centerpiece in a garden. But trees are expensive and usually take a while to get up to their full potential. If you live in zone 3, you’re going to need one that can stand up to the cold. 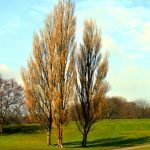 Keep reading to learn more about ornamental trees for cold climates, specifically dwarf trees for zone 3. Seven Son Flower (Heptacodium miconioides) is hardy to -30 F. (-34 C.). It tops out between 20 and 30 feet tall and produces fragrant white blossoms in August. Hornbeam gets no taller than 40 feet and is hardy to zone 3b. 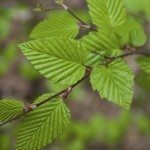 Hornbeam has modest spring flowers and decorative, papery seed pods in the summer. In autumn, its leaves are stunning, turning shades of yellow, red, and purple. 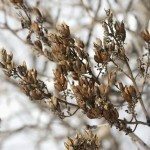 Shadbush (Amelanchier) reaches 10 to 25 feet in height and spread. It is hardy to zone 3. It has a brief but glorious show of white flowers in early spring. 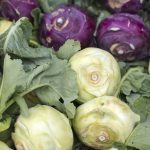 It produces small, attractive red and black fruit in the summer and in the fall its leaves turn very early to beautiful shades of yellow, orange, and red. “Autumn Brilliance” is an especially beautiful hybrid, but it’s only hardy to zone 3b. River birch is hardy to zone 3, with many varieties hardy to zone 2. Their height can vary, but some cultivars are very manageable. “Youngii,” in particular, stays at 6 to 12 feet and has branches that grow downward. River birch produces male flowers in the fall and female flowers in the spring. Japanese tree lilac is a lilac bush in tree form with very fragrant white flowers. 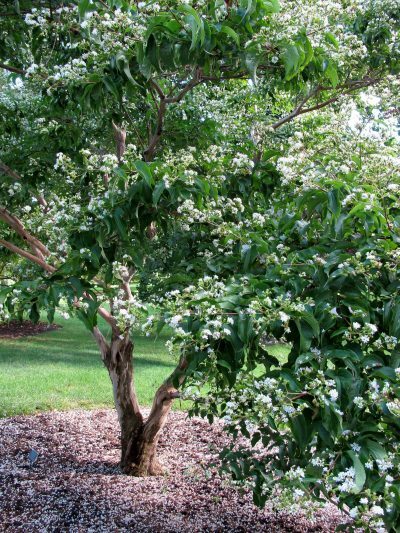 In its tree form, Japanese tree lilac can grow to 30 feet, but dwarf varieties exist that top out at 15 feet.